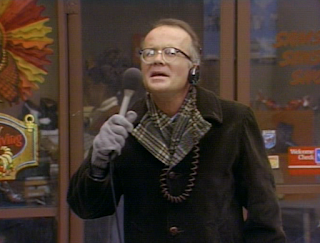 MSE Creative Consulting Blog: 40th Anniversary of "Turkeys Away"
This is the 40th anniversary of one of the best episodes of any television situation comedy -- ever: the "Turkeys Away" episode of WKRP in Cincinnati. Unfortunately, you can't just find the entire episode without commercials any more. But, you can see the entire episode in high quality video -- well worth your time -- by clicking here. If you are not familiar with WKRP it is about the lowest-rated radio station with a hapless manager and interesting characters. [Addition: it will air on METV this Thanksgiving evening.] Its humor holds up well today. However, if you want to see only the best part, begin the episode and then advance to 16:35 (which will cause you to see a few more commercials) and stay till the end. so let me wish all of you a wonderful Thanksgiving!!! In America, every day truly is something to be thankful for.